When you send your quantitative NIR spectra data to our NIR Calibration Model Service, you get a detailed calibration report (calibration protocol) of the found optimal calibration settings, so you are able to see all insights and easily re-build the model in your NIR/Chemometric software. 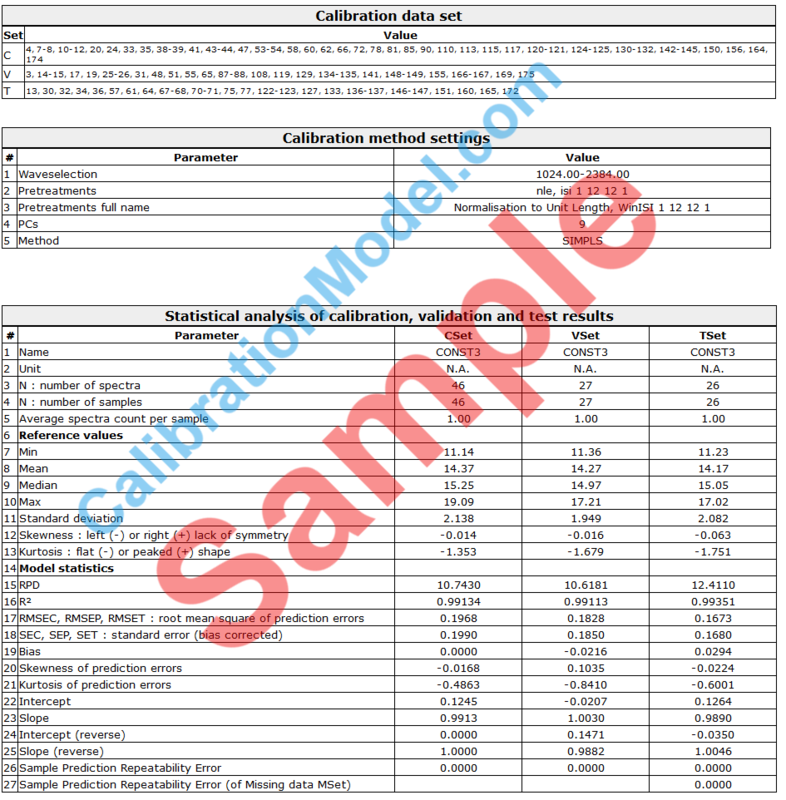 Here is a part of our calibration report, that exactly describes the data used in the calibration set (CSet), the validation set (VSet) and the test set (TSet). The numbers are the number ids of the spectra in your delivered NIR data file. Then the statistical analysis of the PLS model by the different sets (CSet, VSet, Tset). This shows how we deliver the optimal settings. 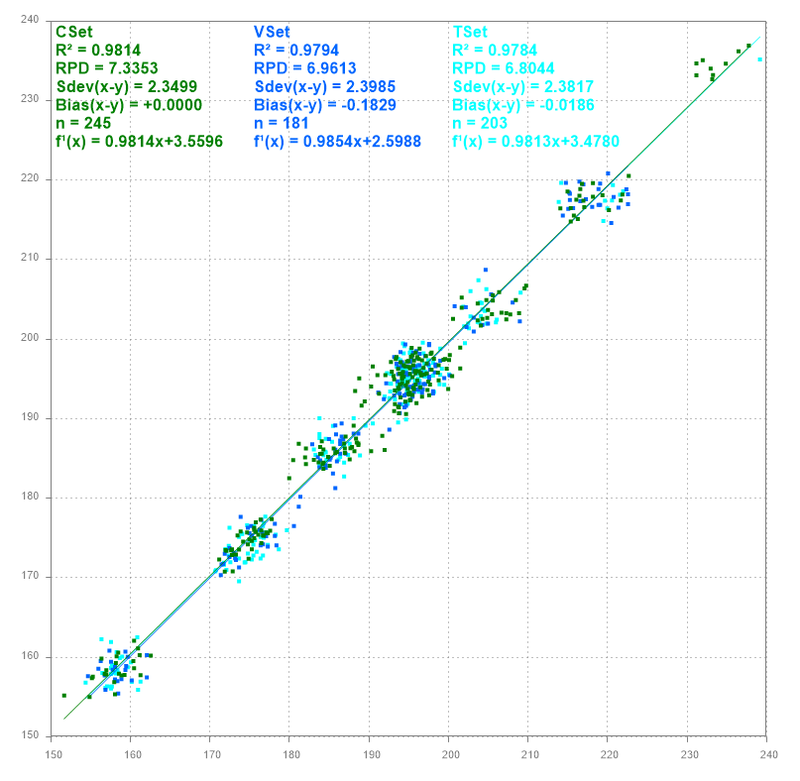 With the statistical values, the NIR model predicted values of all spectra and additional plots you are able to compare with your re-built model to verify that the models perform nearly equally.